LOOK FOR THE NEW PANTS AND SHORTS! POCKETS GALORE! 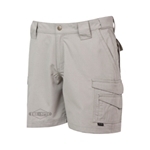 Item #: LPSTR1116-SPG- - LPSTR1195-SPG - Ladies Tactical Short 24 -7 Series. Sizes 2 - 24.